30 years ago, the three www – World Wide Web revolutionized the world with just a click of a mouse. The man responsible for innovating one of the most significant and important innovations of the modern civilization had dreamt of an egalitarian paradise. 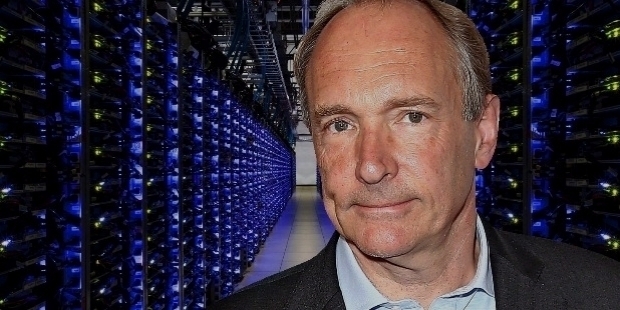 However, Sir Timothy John Berners-Lee is today disheartened for what the web has become in its totality. Popularly known as Tim Berners, Sir Timothy John Berners-Lee has made a series of public interventions. His warning about corporate capture of the online sphere is indeed a serious issue and the biggest problem of our modern world. Tim Berners is working on latest decentralization technologies, which will make an attempt to break the grip of dominant digital-walled gardens. His significant invention is now possessing an imminent threat to the people of the world. 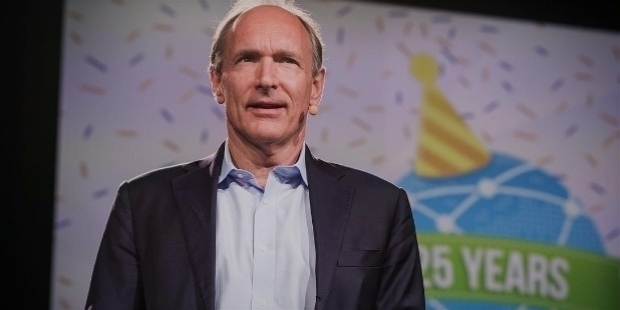 On the 30th anniversary of the World Wide Web, Sir Timothy John Berners-Lee published an open letter on the 12th of March 2019. It was on this day, 30 years ago, he submitted his original proposal for an information management system, which went on to give birth to the online services. In his letter, Tim Berners writes, “If we give up on building a better web now, then the web will not have failed us. We will have failed the web.” He wishes people not to give up on the web. In 2018, Tim Berners-Lee’s Web Foundation initiated a set of core principles titled ‘Contract for the Web’ at the Web Summit Tech Conference in Lisbon, Portugal. The core idea was seeking to loop in the Governments, the Private Sector and the Citizens to work together on tackling the problems of online abuse and misuse by collaborating on contributions, which drive ‘Equality, Opportunity and Creativity’. Time Berners wrote in his letter, “Governments, Companies, and Citizens are all contributing, and we aim to have a result later this year.” 50 plus Companies and Organizations, including Facebook, Google, and the French government have signed the ‘Contract for the Web’. In May 2019, it will be published in full. The old saying ‘Falsehood flies and Truth comes limping after it’ is very much true in our modern civilization. 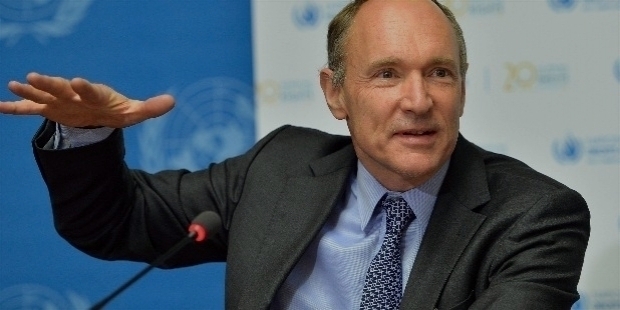 And Tim Berners-Lee’s plan for action is not only difficult to achieve but also is wishful thinking in the world of greed and corruption. The World Wide Web has created immense societal problems and hatred among humans. The Father of the World Wide Web must have never had imagined his creation would become the imminent threat for the citizens of the world. Competitive Distorted Markets, Human Rights Infringement, Threats to Democracy, Privacy, Diversity and Security, Undermining of Science Facts, Public Safety and Increase Inequality via digital divides has become the dangers of the day for one and all, courtesy the World Wide Web. Governments of the nations are using the web as the deadliest weapon in everyday warfare. Digital information is being used against the kind of collaboration and compromise in our modern civilization. On the positive side, the web has become a public square, doctors’ offices, a shop, school, design studio, cinema, a bank and so many things. 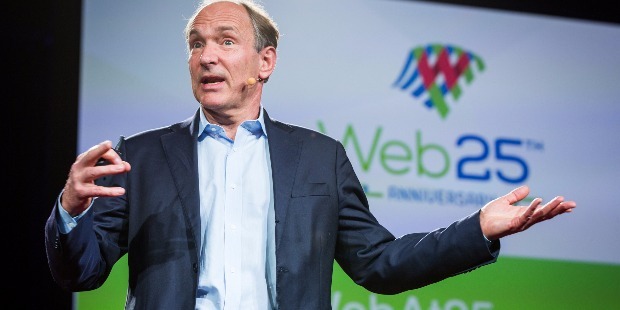 Tim Berners-Lee believes there are ethical tech workers, who have taken stands against tech misusing employers to demand better business practices. He calls for more ethical activism from tech workers to encourage such spirit. The IT giants Google, Facebook and Twitter have become dangerous for our modern world. Misinformation is being spread through these platforms like wildfires, spreading its tentacles and engulfing innocent citizens of the world, while empowering the demons. In the last 30 years, half of the world’s population is connected online. Various countries like the United States of America and the European Union nations are demanding concrete steps from these IT giants. 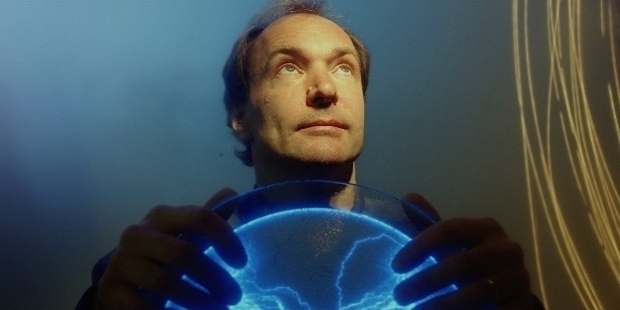 Timothy John Berners-Lee was born in London on the 8th of June 1955. Father Conway Berners-Lee and mother Mary Lee Woods worked on the first commercially built computer – the ‘Ferranti Mark 1’. Timothy was one of the four children. He went to Sheen Mount Primary School. From 1969 to 1973, Timothy attended Emanuel School in the Southwest London. He was a geek, who indulged in learning about electronics from tinkering with a model railway. In the year 1976, Timothy graduated from the Queen’s College, Oxford with a first-class Bachelor of Arts degree in Physics. A techie genius, he made a computer from an old television set, which he purchased from a repair shop. Timothy John Berners-Lee worked as an engineer at Plessey, the telecommunications company in Poole, Dorset. This was his first job after graduation. In the year 1978, Timothy joined D.G. Nash in Ferndown, Dorset. He used to help in creating type-setting software for printers. In the year 1980, he became an independent contractor at CERN – Conseil Européen pour la Recherche Nucléaire for 7 months. In Geneva, Tim Berners proposed his project, which was based on the concept of hypertext to facilitate sharing and updating information among researchers. He built a prototype system called ENQUIRE to demonstrate his project. Later, he joined Image Computer Systems Ltd in Bournemouth, Dorset. At John Poole’s company, Timothy was the head of the technical side for three longs years. He worked on a ‘real-time remote procedure call’ project. It is here, Timothy gained his experience in computer networking. In the year 1984, Timothy joined CERN as a fellow. By 1989, CERN became the largest internet node in Europe. He was quick to realize the opportunity to join hypertext with the internet. He recalled, “I just had to take the hypertext idea and connect it to the Transmission Control Protocol and domain name system ideas and ta-da, the World Wide Web! Creating the web was really an act of desperation, because the situation without it was very difficult, when I was working at CERN later. 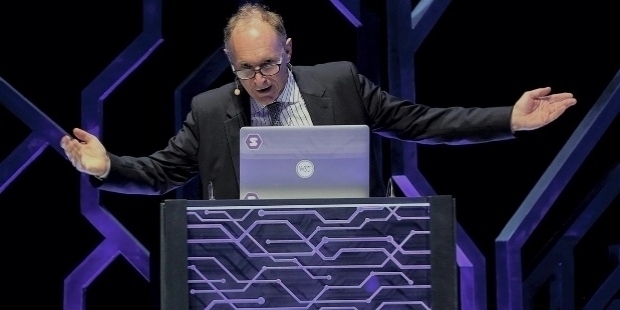 Tim Berners-Lee used the NeXT Computer, which became the world’s first web server. In March 1989, he wrote his proposal and a year later, he redistributed it. Mike Sendall, his manager accepted his vague but exciting proposal. Timothy had earlier used similar ideas to those underlying the ENQUIRE system and created the World Wide Web by designing and building the first Web browser. His software running on the NeXTSTEP operating system functioned as an editor called WorldWideWeb. CERN HTTPd was the first Web server, which is short for Hypertext Transfer Protocol daemon. Mike Sendall, Tim Berners-Lee’s manager was very supportive and encouraging. Sendall bought a NeXT cube for evaluation for Timothy. In the space of few months, Timothy implemented his prototype on NeXTSTEP. The prototype offered WYSIWYG browsing/authoring. Tim Berners-Lee and Mike Sendall used to discuss about naming the system in the CERN cafeteria. Sendall was determined not to use Greek mythology name. 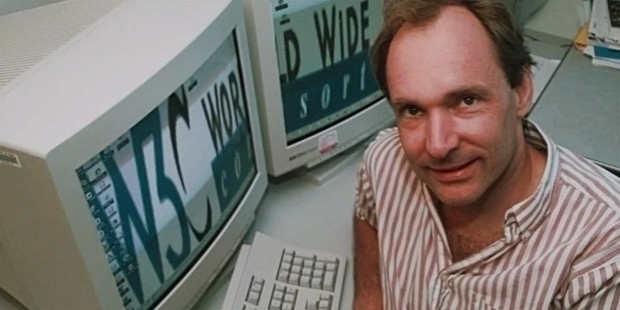 Timothy proposed ‘World Wide Web’, which Sendall liked instantly. On the 6th of August 1991, the first website built at CERN was online. It was hosted by Switzerland. The world’s first-ever website and web server address was info.cern.ch. It ran on a NeXT computer of CERN. http://info.cern.ch/hypertext/WWW/TheProject.html became the first webpage address. It was centered on information regarding the www project. In the year 1994, Timothy John Berners-Lee established the W3C – World Wide Web Consortium at the Massachusetts Institute of Technology. He made his idea available free of cost, with no patent and no royalties due. It was decided by the W3C that its standards should be based on royalty-free technology for everyone to adopt it easily. In 1990, Timothy John Berners-Lee married American computer programmer Nancy Carlson. The couple was blessed with two children. In 2011, the two were divorced. After the divorce, Tim Berners met two-time divorcee Rosemary Leith. She was a Canadian internet and banking entrepreneur. By 2014, Berners-Lee and Rosemary Leith were married. 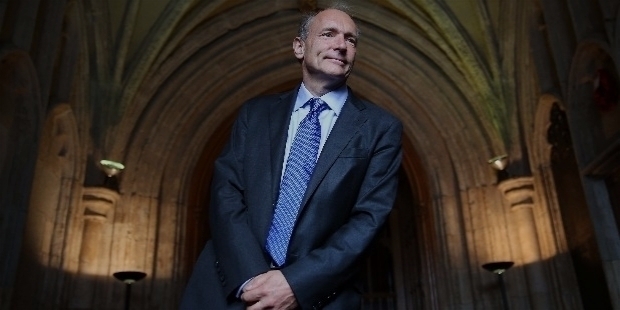 Timothy John Berners-Lee was knighted by Queen Elizabeth II in 2004 for his pioneering work. On the 13th of June 2007, he was appointed to the Order of Merit by the Queen. 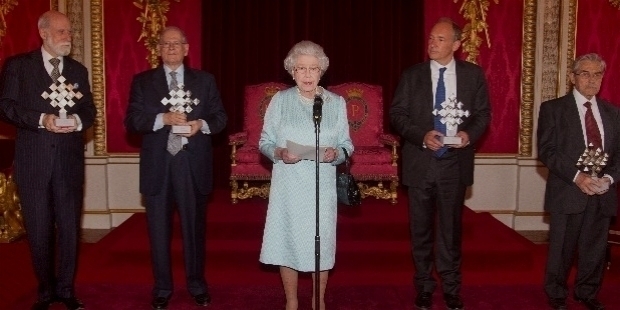 In 2013, the inaugural Queen Elizabeth Prize for Engineering was awarded to Sir Timothy John Berners-Lee OM.